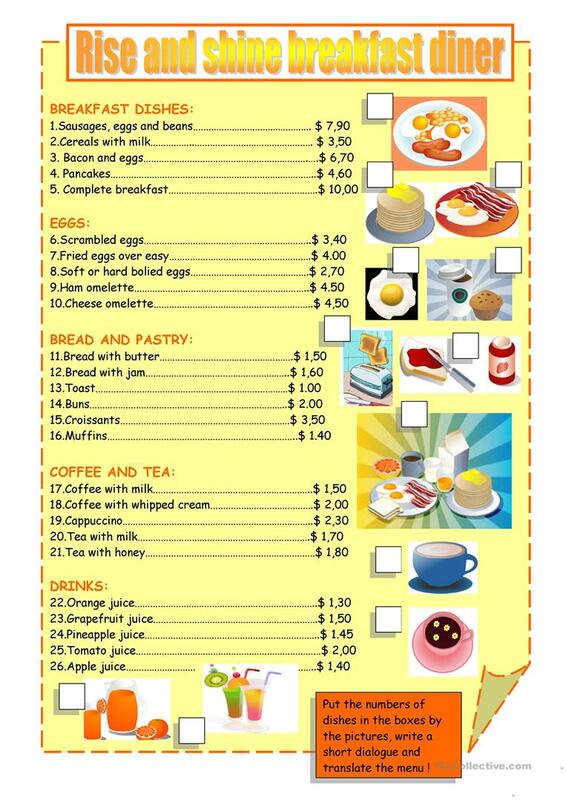 Vocabulary used when ordering breakfast in a restaurant. This downloadable printable is recommended for business/professional students and high school students at Intermediate (B1) level. It is useful for enhancing your pupils' Speaking, Reading and Writing skills. It is focused on the theme of Food.